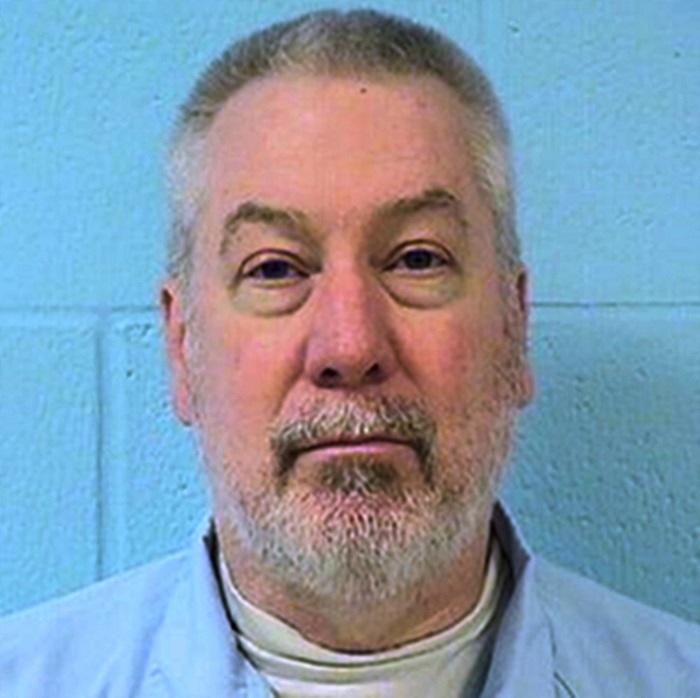 CHICAGO (CN) – Closing the book Thursday on a murder case that drew national attention, the Illinois Supreme Court upheld former police sergeant Drew Peterson’s conviction for the killing of his third wife. Peterson, a retired Bolingbrook, Ill., police officer, first attracted the attention of law enforcement when his fourth wife, Stacy Peterson, disappeared almost 10 years ago without a trace. Suspicion fell on Peterson given that his third wife, Kathleen Savio, was found dead in her bathtub three months after divorcing him. Savio’s death was originally ruled an accident, and there is no physical evidence connecting Peterson to her murder, but her body was exhumed after Stacy’s disappearance, and her death declared a homicide. Peterson, 63, was convicted of Savio’s murder in 2012 and sentenced to 38 years in prison. He was later convicted of attempting to hire a hit man to murder the prosecutor who filed charges against him, and sentenced to an additional 40 years. It is still unclear what happened to Stacy, and she is considered a missing person. On Thursday, the Illinois Supreme Court affirmed Peterson’s conviction, upholding the trial court’s admission of hearsay statements made by Kathleen and Stacy because there was evidence that Peterson killed Kathleen to prevent her from testifying in their divorce case. The trial court allowed the admission of Kathleen’s handwritten statement to police detailing how Peterson entered her home without permission and pinned her to the staircase for over three hours at knifepoint while he reviewed their history. It also allowed statements Stacy made to others regarding Peterson’s behavior the night of Kathleen’s death. “The state presented evidence that because Kathleen was silenced, the financial and custody issues pending at the time of her death in the divorce proceeding were ultimately resolved in defendant’s favor: defendant was awarded custody of his two sons, defendant was awarded the proceeds from the sale of the marital home, and defendant was awarded the business known as Blue Lightning Corporation,” Justice Mary Jane Theis wrote in a unanimous, 40-page opinion. Therefore, Kathleen’s statements were admissible under the wrongdoing doctrine, the court found. Similarly, Stacy’s question to her attorney – asking if she could get more money in a divorce if she threatened to tell the police how “how [he] killed Kathy” – is admissible because it shows that she intended to testify against Peterson. The Illinois Supreme Court also rejected Peterson’s ineffective-assistance claims based on his allegation his attorney was more interested in the millions he could make on a book deal than in preparing Peterson’s defense. An attorney for Peterson said that he is likely to appeal the case to the U.S. Supreme Court, but it is highly unlikely that the case would be taken up.